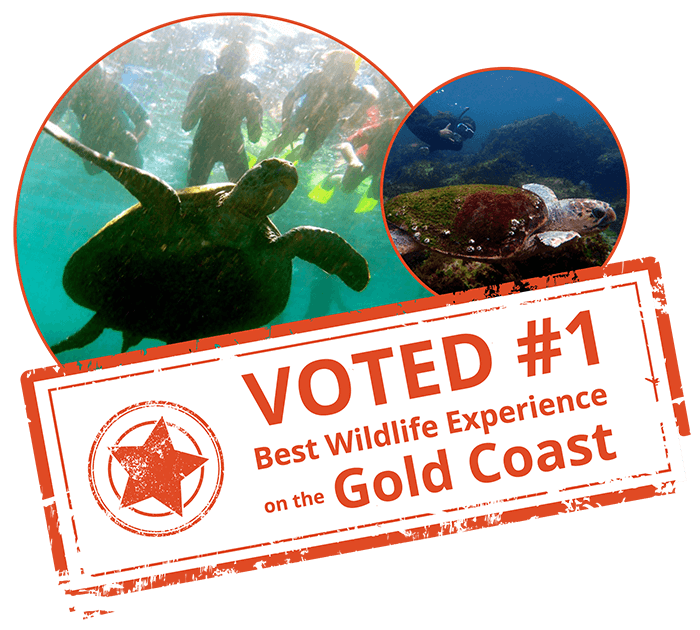 Voted #1 Wildlife Experience on the Gold Coast! 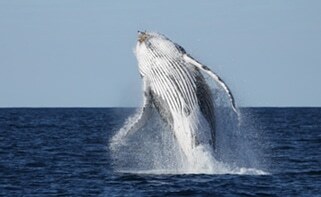 We have been voted as the best Wildlife Experience on the Gold Coast! Our Snorkel with the Turtles experience is so special due to the incredible sea creatures that you get to connect with – beautiful, ancient creatures who call our local waters home! To help you understand the magic of meeting these special and endangered dinosaurs, we would love to introduce you to a few friendly faces… scroll down the page to find out how you can score a FREE Snorkel with the Turtles tour! You’ll find us down by beautiful Cudgen Creek between 9 – 4 daily (depending on the weather). So come on down and join in on the fun! Get your friends and family together for a day of sunshine! 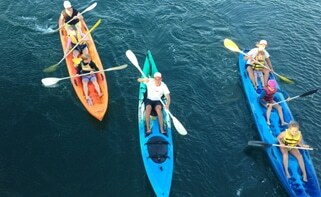 Give paddle boarding a go, jump in a kayak for a mind-clearing and scenic row down the creek, or get the kids smiling with our range of water-fun activities! 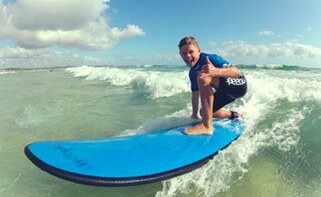 We also offer lessons to teach you all you need to know about having fun on the water – learn to surf with us, or become a paddle board pro. 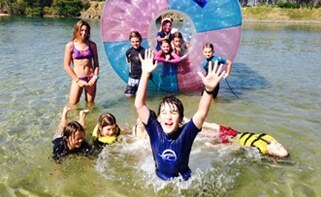 We are the water sports experts! To avoid disappointment, please book equipment in advance by calling us on 0430 082 8900430 082 890. 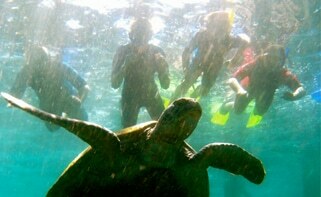 Snorkel With Turtles – Our Most Loved Tour!  “Discover the Fun” with Watersports Guru! We have taken thousands of our guests on a wonderful journey to discover the fun and splendor of our local oceans and waterways. 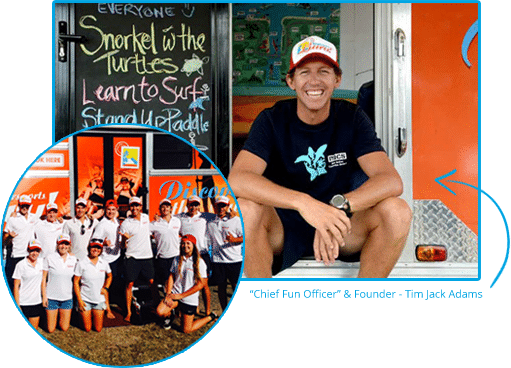 Snorkeling with the turtles at Cook Island, whale watching on the Gold Coast and Tweed Coast, kayaking and stand up paddle boarding on Cudgen Creek Kingscliff, or learning to surf for the first time. Their experiences have been unforgettable. Connecting people to nature through fun is what we do best! And we pride ourselves on that. GIFT VOUCHERS AVAILABLE | Click here for more info! Looking for a great gift to get your loved ones out enjoying the sunshine? We’ve got you covered.